Our Build Tiny workshop has come and gone. We watched our students on thursday progress from being a little timid around the tools to running a saw and nail gun and many other tools with skill and confidence. It was exactly what we had hoped it would be. I hope our students were as satisfied with the day as we were. And then the 3 day workshop started on Friday. We had our 18′ trailer parked in the barn so the rain really didn’t slow us down. We ripped down a couple of the boards that had been removed from the trailer and used them to form our floor joists. We then cut and installed a layer of 1 1/2″ rigid foam insulation. After that we cut out 3/4″ tongue and groove sub-flooring and put in in place. This formed the base for our next project. During this same time Larry and Lee were busy in the wood shop designing Lee’s cabinets. They began constructing them once the design was completed. 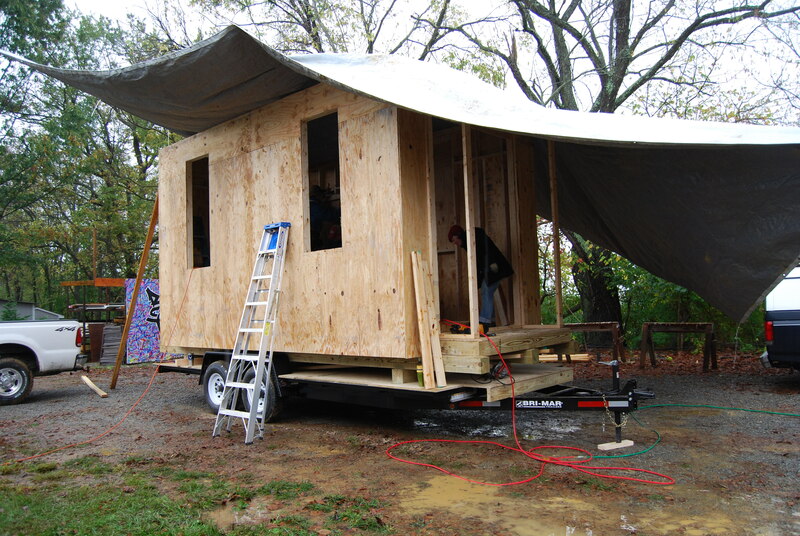 Our next project was the same house that will sit on the ground instead of a trailer. So we cut some 6″x6″ x 7′ pieces and laid them across the trailer. They formed a base on which we set the 20′ 6″x6″s that are the skids that support the house and allow it to be pulled around the property where it will live. Saturday morning started with floor framing. We cut all the floor joists and again reused some of the pressure treated boards for our rim-joists. We laid out all the joists and got it all assembled and squared and then again, we cut and installed our 3/4″ sublooring. Now we once again had a flat work surface and it was time to build some walls. 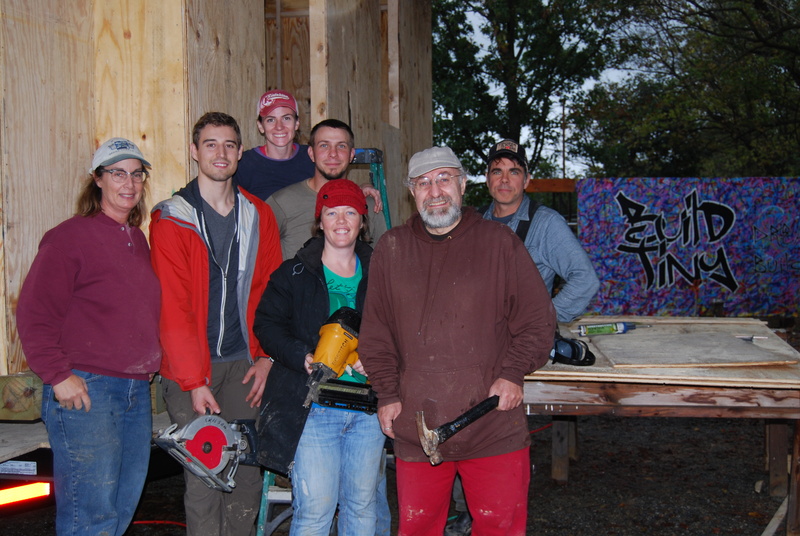 We first built one of the 16′ walls, framing out for our windows and door. We had windows on site ( purchased from the Habitat for Humanity Restore for very little money) to confirm our framing measurements. Once we had the framing complete and the walls squared we installed the sheeting. And then we did it all again to form the other 16′ wall. 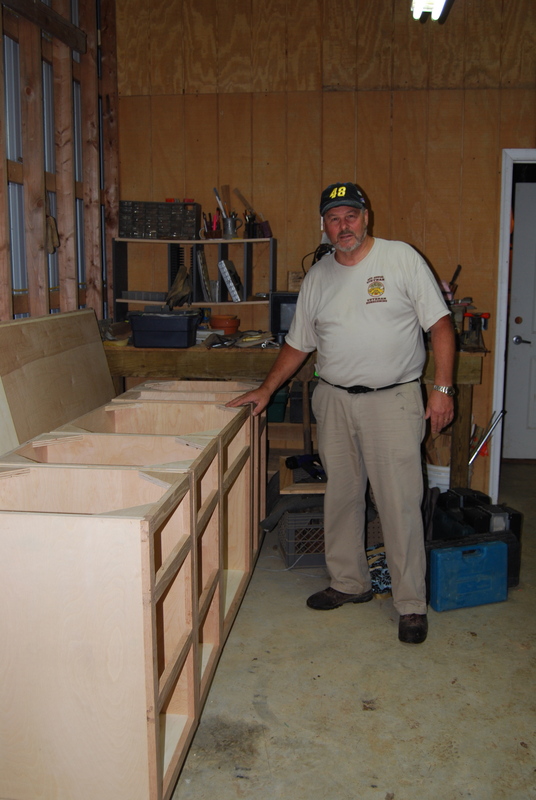 Throughout the day we each took some time to join Larry and Lee as they built Lee’s cabinetry. By the time we finished all that we were ready for dinner. Sunday morning we finished framing up the walls and moved our trailer out from the cover of the barn and parked it under a huge tarp that was stretched across our new work area. Then it was time to stand up the walls we had built. It wasn’t long before we had a complete open topped enclosure. We once again checked our squares and fastened everything together. By this time most of the group had already headed home. Those of us who were left, admired our progress, picked up our tools and called it a day. 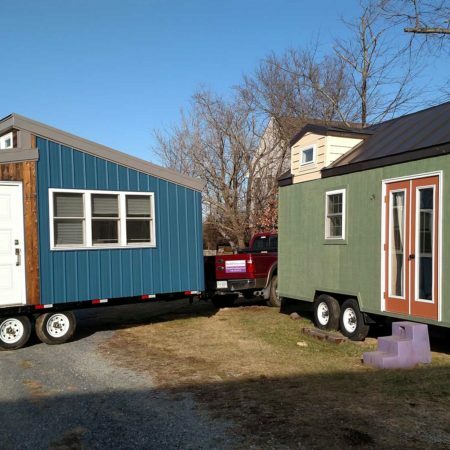 I consider the workshop to be a tremendous success because I watched a group of people transform themselves from tiny house admirers into tiny house builders. There will be more Build Tiny workshops! https://build-tiny.com/wp-content/uploads/2016/10/banner2-1.png 0 0 Robin Hayes https://build-tiny.com/wp-content/uploads/2016/10/banner2-1.png Robin Hayes2013-10-16 00:56:452016-04-04 14:52:18What a workshop! It is finally here- our first workshop day. The first attendee, Amanda, arrived last night and she spent the night in Steve’s tiny house. I can’t wait to hear how she liked it! So now it is time to cook breakfast, then it is out to the workshop where we have 2 tables loaded with tools. 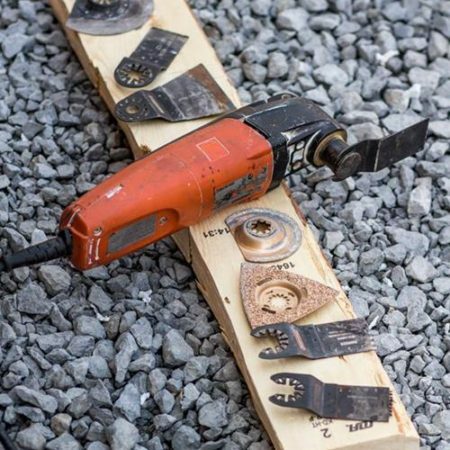 We are going to explain the names and usage of each tool and then put them in the student’s hands and have them use each one as they would while building a tiny house. We also have all the power tools ready and waiting. Thank goodness for our large indoor work area. https://build-tiny.com/wp-content/uploads/2016/10/banner2-1.png 0 0 Robin Hayes https://build-tiny.com/wp-content/uploads/2016/10/banner2-1.png Robin Hayes2013-10-10 11:47:242016-04-04 14:57:01It's workshop day! Today is the last day you can enter to win a FREE ticket to our 3 day workshop. Simply go to the Build Tiny Facebook page and post a comment about why you want to attend. Entries close at 5pm est. We will go over the entries at that time and select a winner. The winner will be notified tonight! I talked with Dee Williams yesterday and she will not be traveling to Berryville for the workshop. She will be attending via Skype and will be happy to schedule one on one time with anyone who has questions or who just wants a chance to take a minute to get to know this amazing woman. Our thoughts are with Dee and I hope you will join us in sending her lots of good energy.